We’ve given and received lots of fantastic gardening gifts over the years. Plus, we listen to what our gardening colleagues say they want and need. Based on those experiences, we’ve come up with this Top 19 Gardening Gifts list to make your holiday shopping experience easier (with a few tag-along items included). Whether you have a wheelbarrow full of money or just a few dollars in your pocket, there’s sure to be a gift idea below to match your budget. Most of these gifts are ideal for home food gardeners (edible plants), but some will also be perfect for folks who just enjoy working out in their yard even if they don’t grow edible plants. There is no particular order to this list, e.g. it is not arranged from best to worst, alphabetical, or any other way… Although the gift at the bottom of this list is pretty hard to beat! We’ve written about when, why, and how to use cold frames here. In short, they’re awesome for: a) starting seeds while keeping your seedlings warm and protected outdoors; and b) growing food outdoors in the fall and winter in a relatively small space. For the gardener in your life who wants to push their growing season or start their own warm weather seedlings outdoors while it’s still cold outside, cold frames make a great gift! If budget isn’t an issue and you’re shopping for someone who is a serious gardener, consider getting a gift they’ll never forget: a greenhouse. With a greenhouse, they can do things like start their seasonal seedlings months ahead of time, or grow potted tropicals and other plants that might be difficult to grow in their climate zone. One good problem you encounter as a gardener is sometimes having too much food to eat all at once. What do you do when you have 100 pounds of carrots, cabbage, kale, radishes, etc in your harvest basket that you can’t possibly eat all at once or even fit in the fridge? As we’ve written about elsewhere, the answer is to use those veggies to tend the microbial garden inside you by making long-lasting and delicious home fermentations such as sauerkraut. The best tool to help you do that is a good German fermenting crock pot. Fruit and nut trees, berry bushes, cane berries… These make a great gift for someone with a large yard or garden. Years back, our parents gave us a gift card to a plant nursery. We loaded up on fruit trees, nut trees, berry bushes and cane berries. Every year since, those plants get bigger and produce more fruit than the year before. A plastic gadget gift might be broken or forgotten in less than a year, but these plants can live and produce delicious food for many years (and possibly many lifetimes depending on the species). 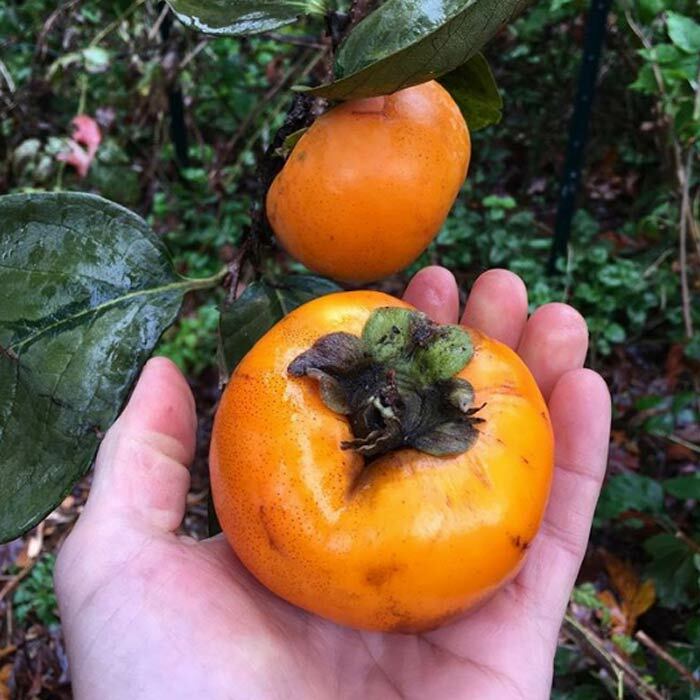 A nice thing about Asian persimmons is that if your patience succumbs to your desires, you can pick and eat the fruit early and still have a pleasurable experience. These persimmons are crunchy but still delicious. Trying this with an American persimmon would not end so well! *Note: The type of fruit, nut, and berry plants best suited for a particular location will vary depending on the climate zone (example: a cherry tree won’t grow in Miami and a Papaya tree won’t grow in Maine). It’s best to get a gift card and let the recipient select their own varieties that will grow where they live, unless you know what they want and/or what will grow where they live. Price: depends on your budget and what you get | Where to buy: good organic nurseries – Walden Heights Nursery (Vermont) | Rolling River Nursery (California) | Useful Plants Nursery (North Carolina) – not certified organic, but an incredible permaculture nursery that does things right | *or google “organic nursery” near you to find nurseries that don’t use systemic pesticides like neonicotinoids that will kill pollinating insects like bees. We’re duck evangelists and we love our egg-laying Welsh Harlequin heritage breed ducks. However, we also appreciate chickens. Regardless of whether you’re a gardener who keeps chickens or ducks AND regardless of whether you live in an urban or rural area, you have to keep your poultry protected from predators. That’s where a well-constructed coop comes in. This is the Quacker Box we made for our ducks. If you want to make your own mobile duckmobile, click here to learn how. If you want to buy a duck or chicken coop that takes less carpentry skills, see the links below. *Note: Ducks don’t roost and therefore have a different style of coop than chickens. 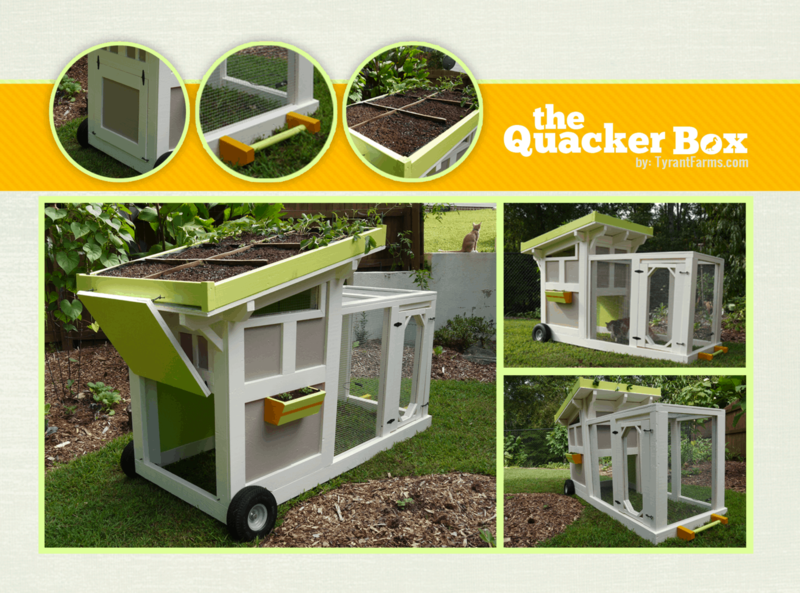 If you want to build a duck coop like ours (image above) click here. If the gardener you’re shopping for does NOT have a wheelbarrow and you have the financial resources to get them one, you have a moral obligation to do so. We sometimes get a lot of rain in South Carolina. 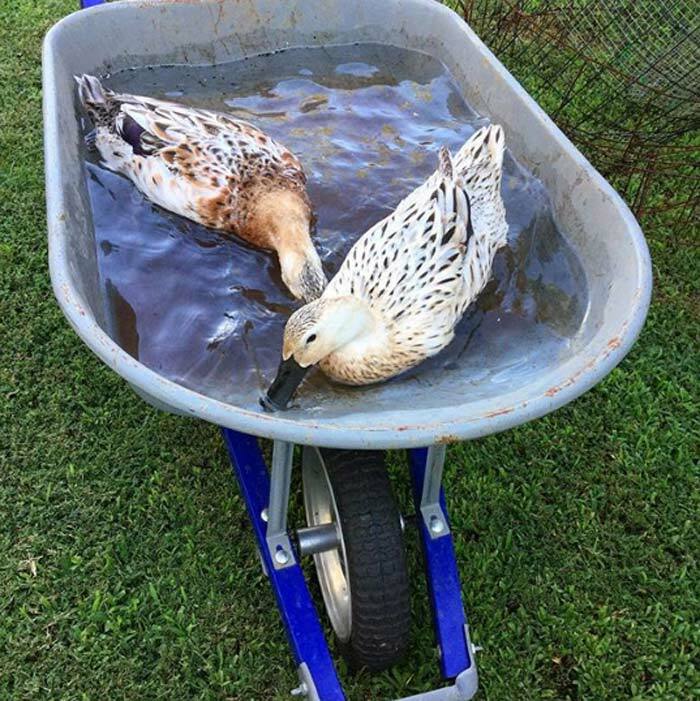 This particular shower filled up our wheelbarrow, turning it into a temporary duck pond. As much as we miss Cindy, we admire the solid, dependable build of Koby (our new Kobalt wheelbarrow). 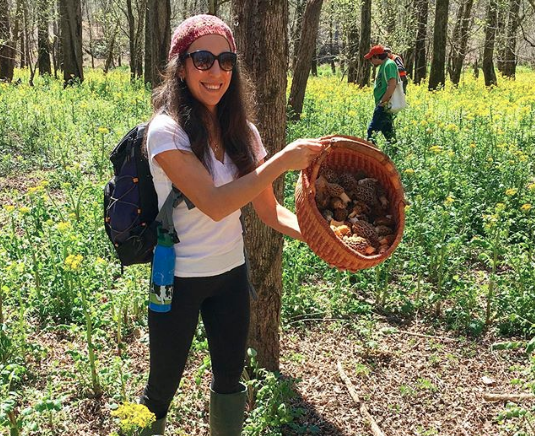 If you’ve ever read our articles, you might have noticed that we love foraging wild mushrooms. However, there are plenty of wild mushrooms that can kill you or make you wish you were dead, so we don’t recommend mushroom foraging unless you know what you’re doing. However, one perfectly safe way to enjoy your own freshly harvested gourmet and medicinal mushrooms is to grow them yourself. Thankfully, there are gifts that make that process very easy, and we’ve enjoyed growing lots of different varieties of gourmet mushrooms in our garden over the years. Three of the most popular are “chicken of the woods” (you will swear you’re eating chicken), oyster mushrooms (taste more like scallops than oysters), and shiitakes (delicious flavor commonly used in Asian cuisine). 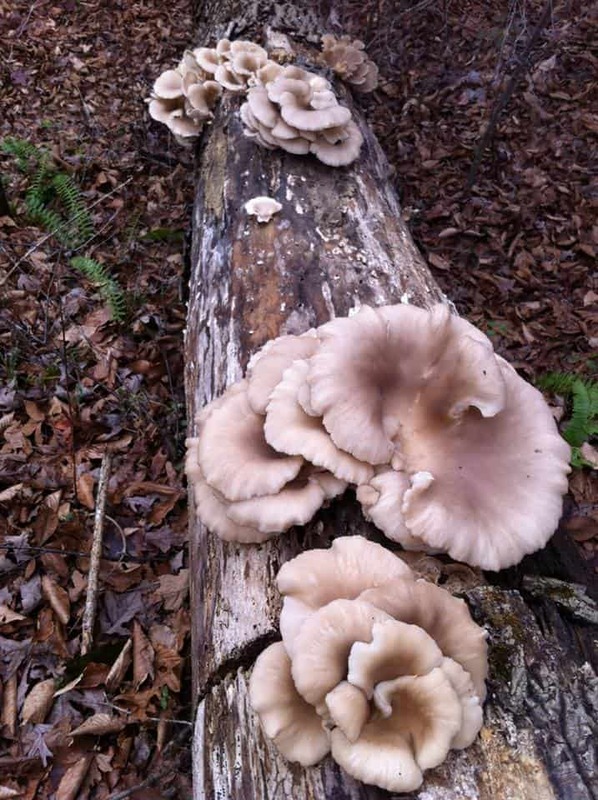 Winter oyster mushrooms growing in the woods behind our home. We have a full edible organic landscape, but many gardeners have pots on small patios or raised beds in their yard. If someone is just getting started, making a well-constructed cedar raised bed from scratch might seem daunting, especially if you don’t have a truck to haul the lumber or a nearby store to get cedar lumber. If so, this 2 x 8 x 10.5′ cedar raised bed kit could make the perfect gift. *You do NOT want to use treated lumber or creosote railroad ties in your garden as these both contain an array of harmful chemical compounds that you do not want your plant roots to uptake. We read a lot about gardening and agriculture. Learning helps with doing. Ask anyone who is really good at what they do and we guarantee you they’ll tell you they’ve spent quite a lot of time learning and reading about it. Worms are pretty magical creatures. If you know anything about soil or organic gardening, you know how important worms are in the grand scheme of things. There are a lot of reasons why people participate in organic gardening, but perhaps the biggest reason is the food you grow is so dang delicious. Plus, you can grow varieties of produce that you won’t ever find in a store and eat it right when it’s perfectly ripe. The Tyrant showing off a harvest basket starting to fill up with morel mushrooms. Mod Hod Garden Baskets are an extremely useful harvest basket that we recently discovered because we were gifted one by a parent. We can’t say enough good things about how incredibly useful this basket is – it’s very durable, the legs fold up & down, and you can rinse fruit, roots, veggies, etc super easily outdoors with your hose sprayer! Tubtrugs are another fantastic discovery we’ve been using this year for large harvests. We also use our tubtrug when we’re pre-soaking/rinsing big harvests of ginger and turmeric roots. A grow light setup is a great gift for someone who is getting serious about home food gardening. We grow hundreds of varieties of produce throughout the year and we start all of our annual and biennial plants from seed for the warm and cold-weather growing seasons. If you’re growing a lot of plants from seed, a grow light setup is essential if you don’t have a really sunny sunroom or greenhouse. We constructed our own DIY growlights (find out how here). 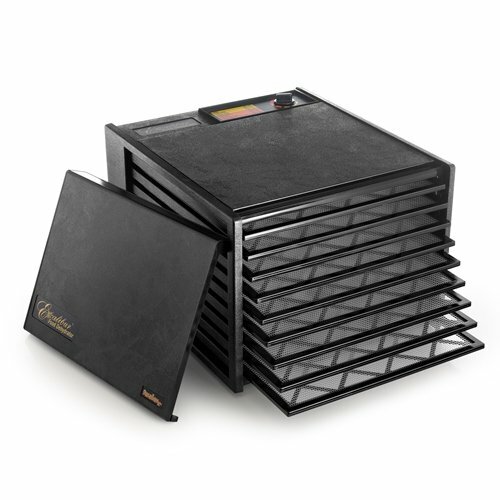 +Heating Mat – Heating mats really help regulate soil temps and improve seed germination, especially for seeds like tomatoes that love warm soil temps. If you want faster and more uniform germination + better seedling growth, get heating mats. These are the heating mats we use – cost $24. We grow thousands of pounds of food in our yard throughout the year (in the fall and winter too). To use all the food we harvest requires canning and dehydrating. Sun-dried tomatoes, fruit leather, smoked pepper powder, etc.. We’ve had an Excalibur dehydrator for over 10 years and it’s worth every penny. Want to safely can anything from meat to veggies to fruit without the risk of getting botulism? Get a pressure cooker. You can safely make tons of delicious canned produce to enjoy throughout the year. +Weck Jars – These are the style of reusable canning jars we use that are also popular in Europe. No BPA coated lids and super easy to use and reuse without having to replace the lids on a regular basis. They make a nice standalone present or add-on present with a pressure cooker. We’ve purchased or been gifted a lot of garden tools over the years, and boy is there a big difference in quality between brands. Granted we put a lot of wear and tear on our tools since we use them so frequently, but we’ve had garden clippers fall apart within a year under light use and others that have lasted for over 5 years in perfect condition even though they get used a lot. Plus, the cheap tools tend not to work nearly as well as the higher quality, more expensive tools. A teaspoon of healthy garden soil might have as many as ~50 billion microbial organisms in it (that’s why those whacky organic gardeners say “soil is alive”). Those microbes make soil systems function, help feed and water your plants, and help keep pathogens and disease-causing organisms from killing your plants. As you may know, municipal water is full of chlorine that is intended to kill microbes that might otherwise make you sick if you drank them. The problem is that chlorine is a very blunt weapon that does not distinguish between good and bad microorganisms: it kills them all. Watering your living soil with chlorinated water can lead to less healthy, more disease-prone plants. That’s why we use a water dechlorinator in our garden, and recommend other gardeners do as well. Our dechlorinator screws on and off in 30 seconds and works great (we also use it when filling up our duck pond and duck water bowls). The Tyrant has been pining away for a Bosmere Haws Metal Watering can for a while now (she loves the copper one), and this may just be the year she gets one. If you’ve ever smelled the first few minutes of water that come out of a standard garden hose on a hot summer day, you might have realized that there is some pretty bad chemical leaching going on in there. That contaminated water is going into your garden, or perhaps going into the water bowl of a pet or your flock of ducks and chickens. 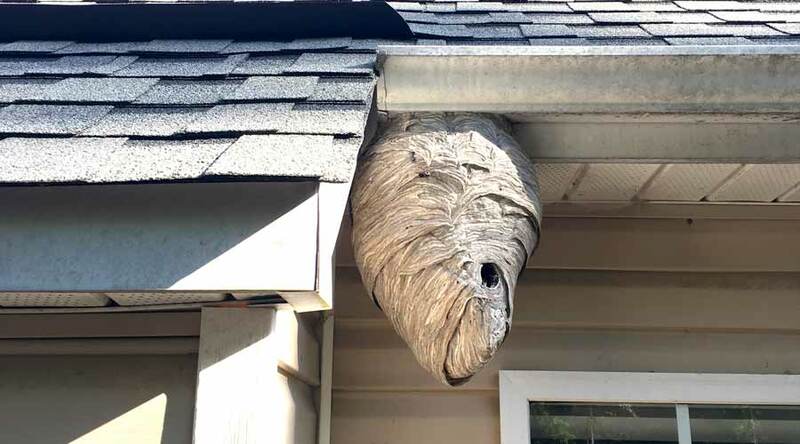 Thankfully, there’s a better, safer alternative for gardeners who care about these sorts of things. The Flexzilla garden hoses we use are 100% lead-free and drinking water safe. We’ve had them for several years, and they’re as good as the day we bought them. + Hose Holder Pot – As an add-on gift for the hose. This elegant hose holder pot allows you to store the hose between uses and keep it out of the elements. + Gilmore Metal Spot Sprinkler – As an add-on gift for the hose. We love these little sprinklers. We got tired of breaking and replacing plastic sprinklers, so we switched to these years ago. How tough are they? We accidentally parked our car on one and it only dented it. Are we biased? Dang skippy. But we have good reason to be. We started the GrowJourney Seeds of the Month Club to address real problems we were experiencing AND real problems we saw other gardeners experiencing. The Tyrant (Susan) would spend weeks sorting through catalogues and websites trying to pick out seeds, looking at the labels to make sure those seeds were grown on organic farms, etc. The process took forever and it was stressful. Gardening should relieve stress, not create it. We also noticed that a lot of the gardening advice we saw on other blogs and in gardening magazines wasn’t very good. If people don’t operate on good advice, they’re unlikely to get good growing results. And that’s why we started GrowJourney. We wanted to give gardeners a better way to discover amazing organic, heirloom garden seeds that will perform well in their organic gardens. We also wanted to make seed discovery easy and stress-free for new and advanced gardeners. PLUS we wanted to teach anyone, anywhere, how to grow their seeds like a pro using the best, most current organic/permaculture methods. 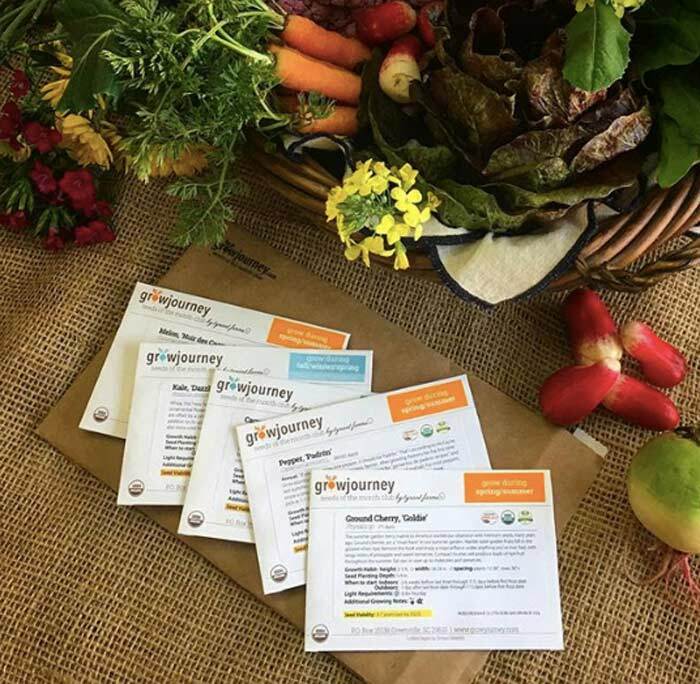 GrowJourney gift subscriptions make a fantastic present for gardeners and we offer subscriptions for any garden size, from small/patio gardens to large gardens. *We also offer a quarterly subscription for Vertical Gardeners (Tower Gardens, Farm Walls, etc.) that’s $21.99 every 3 months (pause or cancel any time). We hope this gardening gift guide helps make your shopping a little easier!